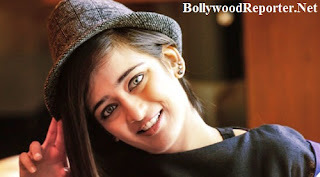 Akshara Hassan \was last seen in 'Shamitabh' with Dhanush & Amitabh Bachchan and now as per reports she has been chosen to walk in Rina Dhaka's upcoming BMW India Bridal Fashion Week for which Rina was confused in between Alia Bhatt and Akshara and finally she has selected Akshara. Recently Rina told about it in an interview, "Keeping in mind the the image of youth and innocence I have requested Akshara Haasan to come. I have seen her work, and between her and Alia, I felt Akshara still has that newness to her… she is very fresh and is exactly what we are trying to emphasis in our story"
This event will be held since 9th august and she will present her lime here. Rina told she had selected occasional bridal wear using floral influences in the literal sense almost.